Nothing says Christmas more than a white Christmas, a fresh blanket of snow just waiting for you to go frolicking in. Snowflakes are so delicate, dainty and magical, so why not bring a little of that magic to your Christmas wardrobe. 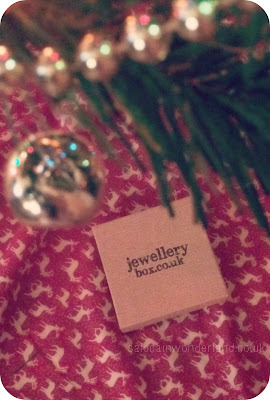 I’m not talking printed dresses or funky Christmas jumpers (though we all love them! ), I’m talking serious Christmas sparkle, in the shape of snowflake jewellery. I’m all about the little details. I’ve been looking for Christmas jewellery for a couple of years now, something shiny, dainty and magical that won’t break the bank or look too over the top, something a little more grown up than flashing dangling snowman earrings (though I have those too!). After being introduced to JewelleryBox.co.uk earlier this year, I was over the Christmas tree to finally found what I’ve been searching for. The winter snowflake necklace is the perfect way to bring a little Christmas sparkle to any outfit, day or night, just that hint of Christmas sparkle to finish off even your most casual office outfit. Coming in at under £10 it also makes for a glitzy stocking stuffer that won’t break the bank. The bright, sterling silver necklace comes in a variety of chain lengths and to compliment it, there’s also tiny little matching sterling silver studs that are beyond adorable. I’ve been getting so many compliments when I’ve worn the pieces together and separate - the earrings are perfect for finishing off a fun Christmas jumper. I can see this set being my go-to for the rest of the festive season and, if kept polished and stored right, it will certainly be making an appearance in Christmases to come. 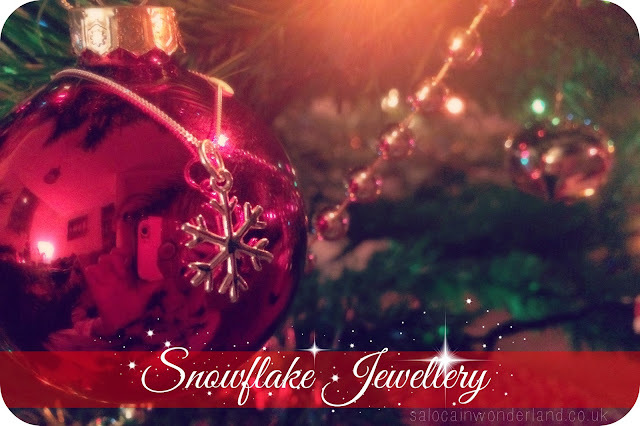 What kind of Christmas jewellery do you prefer? Dainty and delicate or loud and proud? I love how festive they are without being too in your face! So cute, I can't stop wearing them! Oh wow! These are so beautiful! I love the delicate earrings... I feel like those are understated enough to wear with absolutely anything this Holiday season! 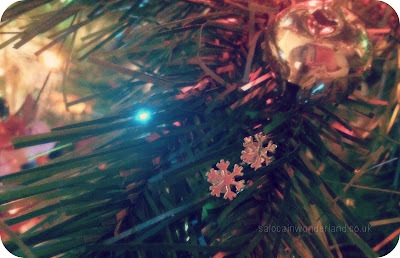 I never considered snowflake jewelry before, but now you have me thinking about how I can incorporate them into my wardrobe! When it comes to Holiday jewelry, I usually go for more bold styles and pair them with an otherwise simple outfit to make them pop. Hope you're having a great week so far Sarah! We are also waiting for Christmas. Happy Christmas. Thanks so much! That snowball pom pom sounds fantastic and like so much fun! Wow! These look so beautiful! Earrings are gorgeous! Dainty and delicate for sure! I do have some sparkly snowflake earrings that are kinda attention catching but I love them! What cute jewelry! I'm definitely more a fan of dainty jewelry, because it's more wearable, and I feel like I'm getting more of my money's worth.